My former boss said this to me in a 1:1 several years ago, and it has stuck with me ever since. In the customer support and online community space, it’s easy to get lulled into the warm and fuzzy aspects of the job. I mean, we literally get paid to help people solve problems. Pretty awesome, right? The reality is, we’re doing ourselves and our teams a giant disservice if we only share the qualitative, human-centered metrics to represent the impact of our work. Customer support and community teams need to consistently show that their work ties back to the core business goals. The only way to demonstrate that is to use the same language that all businesses depend on: data. A lot of people freak out and run the other way when they hear the words data, spreadsheet and Microsoft Excel. Believe me — I get it. I used to be terrified of spreadsheets and avoid Excel at all costs. I’m going to let you in on a secret: Measuring customer support or community initiatives is a lot easier than you think. And I’m going to walk you through how to identify the right KPIs to measure and build reports that inform and drive change in organizations. Just as you tell stories with words, you can also tell stories with data in your weekly, monthly or quarterly reports. The problem is that most of us do the opposite of curation and storytelling. We treat data like a Magic 8 ball. Shake it a few times and you’ll have all the answers. But data and analytics don’t actually work that way. Data can provide you with answers, but you have to tell it what you want to know first. That only happens by asking the right questions. If you want to get better at measuring customer support, start by asking better questions. “What’s the one thing I can do such that by doing it everything else will be easier or unnecessary? When it comes to setting strategies and interpreting data, it’s all about asking focused questions. On the other side, say you wake up on the morning of your big presentation with a throbbing headache and sore throat. You immediately grab for some DayQuil. This is an example of a painkiller product. A painkiller product solves a very real issue that your customer has in the moment, and as you can imagine, it is usually an easier sell and more compelling. This analogy can be just as effective when it comes to figuring out what are the most important things to track and measure for your support team. You cannot know what to track or what your core KPIs should be until you know the types of problems you are solving for your company. If your customer service team did not exist (or performed poorly), what would be the outcomes for your customers and your company? Consider how a marketing company sell the solution to those problems — as a painkiller? Or as a vitamin? 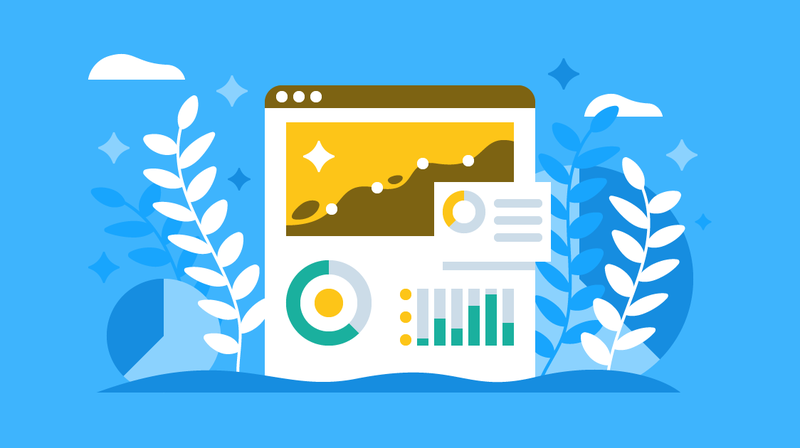 Now you know how to find your big KPIs, but there are still some pitfalls and mistakes you can make. Lucky for you, I made pretty much every rookie reporting mistake out there when I was first starting out, and I’m willing to share them with you so you don’t make them, too. If your KPI doesn’t fall into one of those two categories, then it is not a core KPI. Ideally, these KPIs should be a monetary value. After all, cash is the lifeblood of any business. Everything else is a vanity metric. These metrics are not inherently bad. Some of them are quite useful for informing strategies and tactics, but these metrics can’t stand alone in a report. Number of Twitter followers, average handle time, and “engagement metrics” are nice to have, but they don’t pay your salary. Or your co-workers’ salaries. Or the rent. For example, I’ve yet to meet one person who can say every new Twitter follower nets an extra $5 in customer LTV. I don’t want to say never, but it is highly unlikely to happen. Twitter followers is a classic vanity metric. If you are looking for some additional actionable customer service metrics, check out this post. Let’s just get this out of the way: Your weekly or monthly reports shouldn’t look like a mini-novel. We’re all busy. No one wants to read a 20-page report every week, month, quarter, or really ever. It is your job to curate the most useful data and turn it into a compelling story. To do this, the data should be clear and concise with no more than three core KPIs (see the point above). If you are tracking more than three main KPIs, you are probably confusing vanity metrics with actionable ones. As a support pro, if you are spending more than three hours a week pulling data and compiling weekly reports, you are spending way too much time. All that time manually pulling reports takes away from time you could be spending working on the actual customer support strategy and tactics. The best part is that automation doesn’t have to be scary or crazy expensive. One of my favorite tools on the planet is Zapier. You can set up “Zaps” which are essentially if-then statements, where when one thing happens, then it triggers something else automatically. For example, if you use Help Scout for your support conversations, you can use Zapier to pull your stats into a Google spreadsheet automatically. Zapier can also sync with a data dashboard like Geckoboard, and it does all of this in the background without you having to think about it. Another example is if you run customer surveys, you can send each new entry to a Slack channel, a Google sheet, or even send an automated email to someone. This is a particularly easy trap to fall into once you start realizing the power of tracking the right KPIs. It is natural that when you start tracking something closer, you are going to obsess over ways to improve the metric with “quick wins.” This is a common trap when focusing on support call and ticket deflection. Deflection is the number of potential support cases that lower cost channels can handle (like live chat and contact forms) instead of more costly support channels like phone support. Deflection also happens to be one of the easiest metrics to collect. If you know total support volume by channel, you can get a deflection ratio. You can figure out the cost deflection or savings if you know the cost by support call, ticket, chat, and forum answers. Just because a metric is easier to collect and ties back to a core business initiative (i.e., reducing costs) doesn’t mean it should be the only core KPI. The problem is, we can pay too much attention to it. Instead of building a solid foundation and good habits, we start doing things that deflect more cases but aren’t in the best interests of our customers. For example, making contact details harder to access so that more people use community support options, but without tracking whether or not those questions are being answered correctly and cost-effectively. It is tempting to shoot for quick wins, and some company cultures can incentivize it, but long term success will come from building better customer service habits over time. So what should support teams be doing instead? Focus on customer experience. Make sure that everyone who comes into a lower cost channel like live chat or a support forum has a solid experience. When you do this, they will be more likely to come back again and again. First Contact Resolution: Did they get an answer to their problem the first time? Customers who receive a first-contact resolution are nearly twice as likely to buy again from a brand and four times more likely to spread positive word of mouth. CSAT (Customer Satisfaction Score): How satisfied were they with the answer and support they received? NPS (Net Promoter Score): How likely are they to refer a friend? When you obsess over customer experience, in the long term your customers will need to make fewer support requests than if you focus purely on the short-term quick wins. Take the time to ask the right questions, think through your core KPIs, and set up your reporting so that it tells a relevant story, and it will make your job as a support pro 10x easier and way more impactful for your company. In addition to being a writer and content strategist, Jessica manages the community at The Dynamite Circle, for location independent entrepreneurs. You can find her on Twitter.